BATEIRA is a genre-bending New York-based chamber group exploring the intersection of sound and color. With its unconventional fusion of flute, viola, and double bass, Bateira strives to re-imagine classical and contemporary musical forms in new and unexpected sonic landscapes. In 2012 the ensemble performed on Vox Novus’ Fifteen Minutes of Fame, featuring premieres of short works written especially for the group. 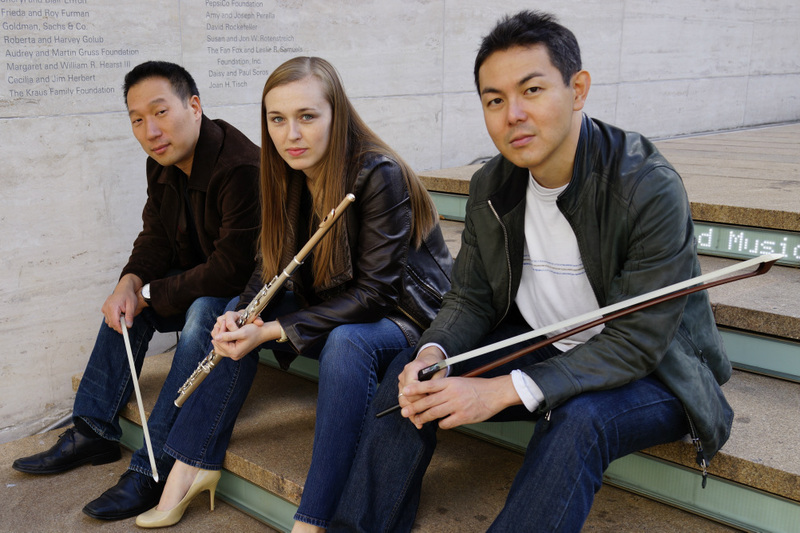 Other performances have included some of New York’s most prestigious venues, including Weill Recital Hall, The Metropolitan Museum, and Trinity Church. Bateira’s repertoire ranges from Medieval to contemporary, and their musical curiosity embraces the conventional to the avant-garde.